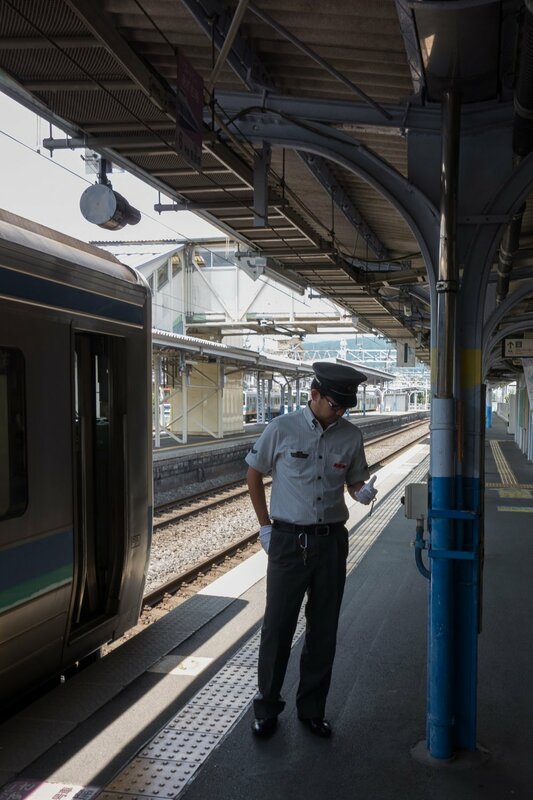 Seiko has an extremely long association with railways and their watches are still seen in common daily use today. In the early 20th century railways in Japan rail used foreign made watches from Waltham, Elgin, Zenith and Omega for general time keeping operations by staff. 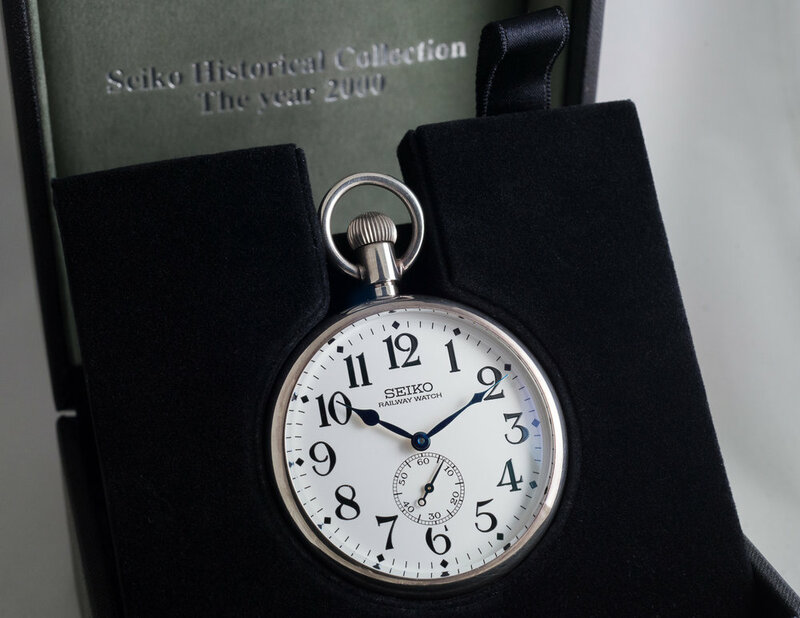 At this time Seiko was rapidly developing watches with improved accuracy to a level that would be suitable for use on the railways. 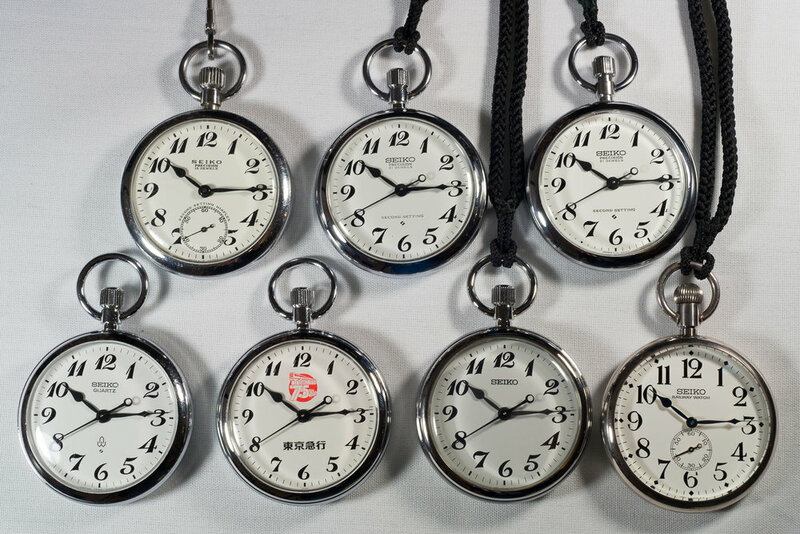 In April 1929 Seiko released the Type 19, a size 16 (43.18mm) pocket watch movement with seven jewels. 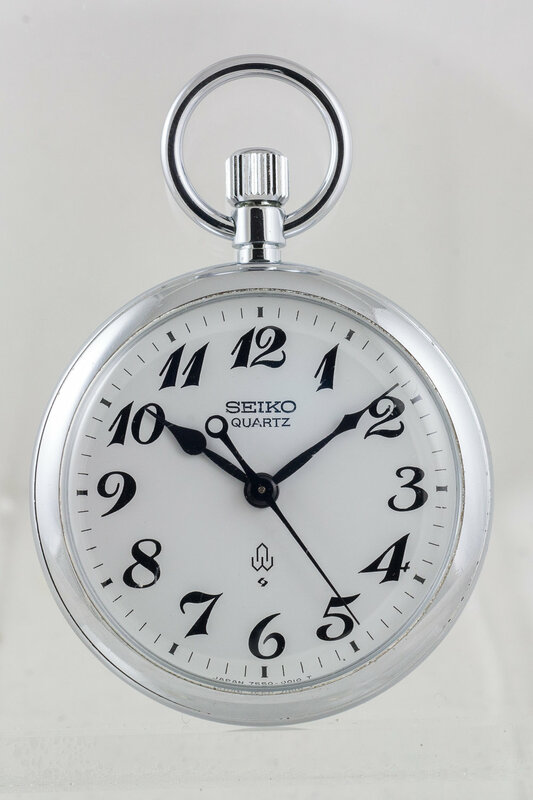 This movement was placed into a pocket watch configuration with a distinctive dial design that employed the same font style as Seiko’s original Laurel wrist watch model from 1913. 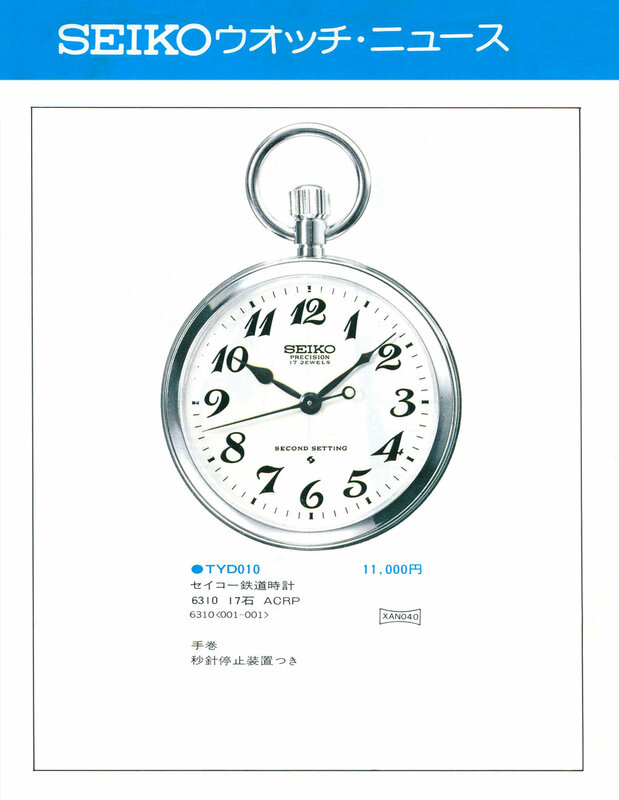 In November 1929 the Japanese Ministry of Railways adopted the Type 19 as an official timepiece. This was the first time that a Japanese domestic watch had been adopted by the ministry. 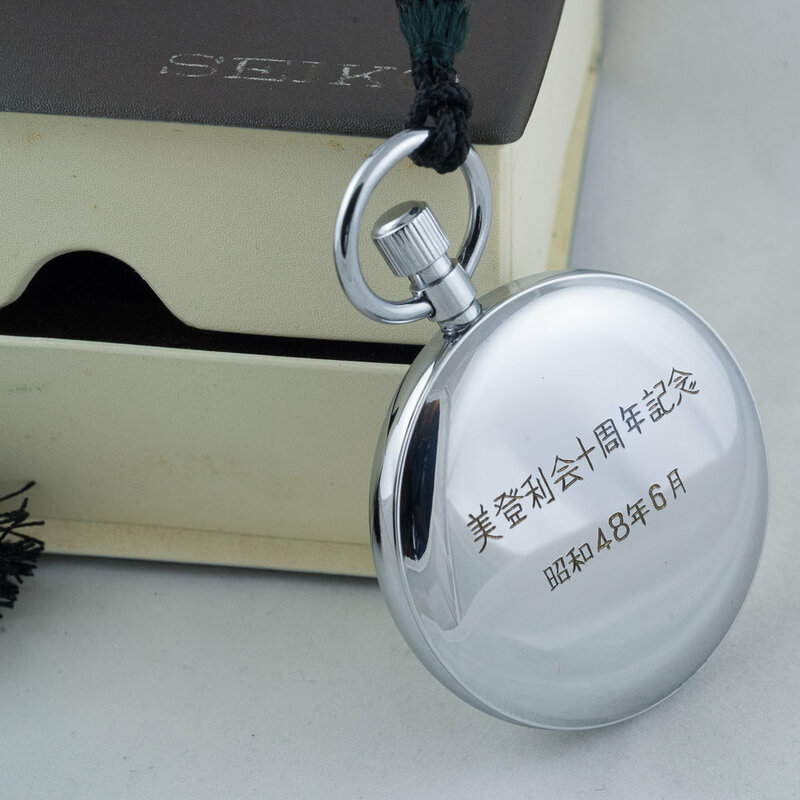 In 1931 a Seikosha Railway Watch with specially knurled case design was released. The Type 19 movement proved very successful and was adopted not only by Japan railroads but also extensively by telephone operators and also the military. It was produced with only minor changes from 1929 all the way through to November 1971. During it’s production period the movement was upgraded with shock protection and the jewel count increased with a 15 jewel version. The oil reservoirs and jewel design give some indication of the age for various examples. From 1929 to 1931 these reservoirs were simple concave designs but these were changed to a more complex design. This was changed again to a traditional jewelled design just before the war. The jewels initially had a golden surround, but in around 1945 changed to silver and then the surrounds completely disappeared in much later models. For examples made throughout and just after the war, the movements were more simply produced with just a basic level of finishing, for example the edges of the plates were not beveled. It is proposed that the reduction in finishing was due to the shortage of skilled technical workers during that period as well as time and material constraints. Normally the number of jewels are marked on the outer edge of the bridge. Later, around the war period, the jewel number engraving was removed completely. In models produced a few years after the war this returned and eventually was positioned below the Seiko logo above the forth wheel jewel. In 1945 continuous production of the Type 19 resumed with the introduction of the 91RW and this continued until November 1971. I have the following example a 9119-0020 from towards the end of the production run in March 1971. The year can be confirmed as it has a six digit serial number on the inside of the case back, the six digit serials were introduced by Seiko in the late 1960’s replacing the previously used seven digit versions. On the dial you will notice the marking Second Setting Diaflex, this refers to a couple of features. First an unbreakable material used in the mainspring is referred to as “Diaflex” this was used in many Seiko models over the years. The second part “Second Setting” is an unusual hacking function present on some Type 19 models. 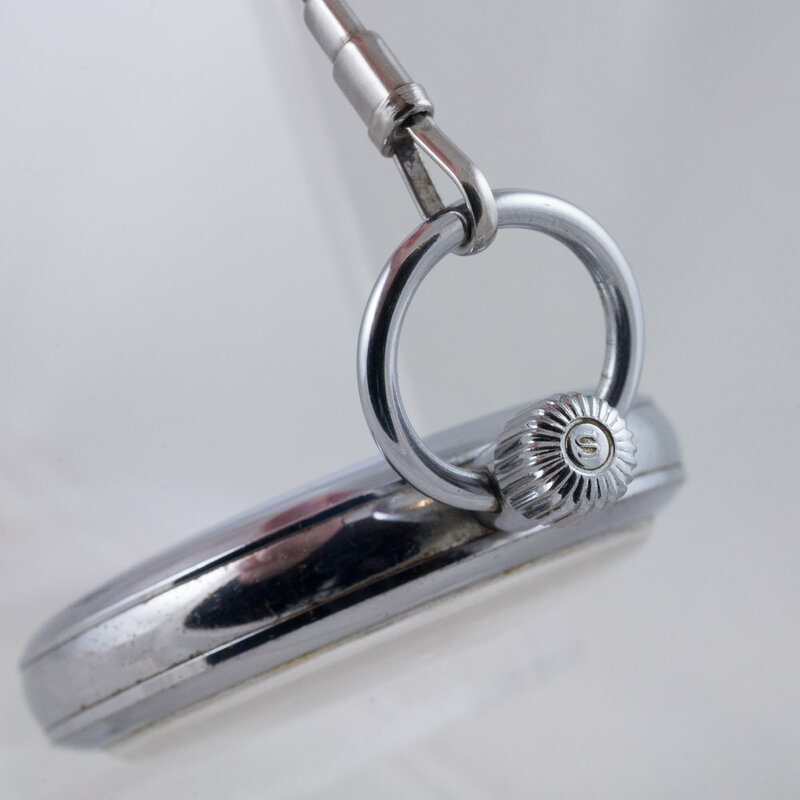 When the crown is pulled the second hand on the sub-dial will continue around and then stop at the 60 second mark. This hacking functionality was first introduced in 1955 and makes it easy to railway workers to easily sync the watch to clocks including those just displaying hours and minutes. In March 1972 the 61RW production began and the model was released in April. This was a 21 jewel movement based on the 61 series calibre. This model was produced until late 1978 and has a standard hacking function with the central seconds hand stopping immediately when the crown is pulled. I have a 61RW (6110-0010) from 1973. In addition to railroad employees these watches were also available for the general public to purchase. 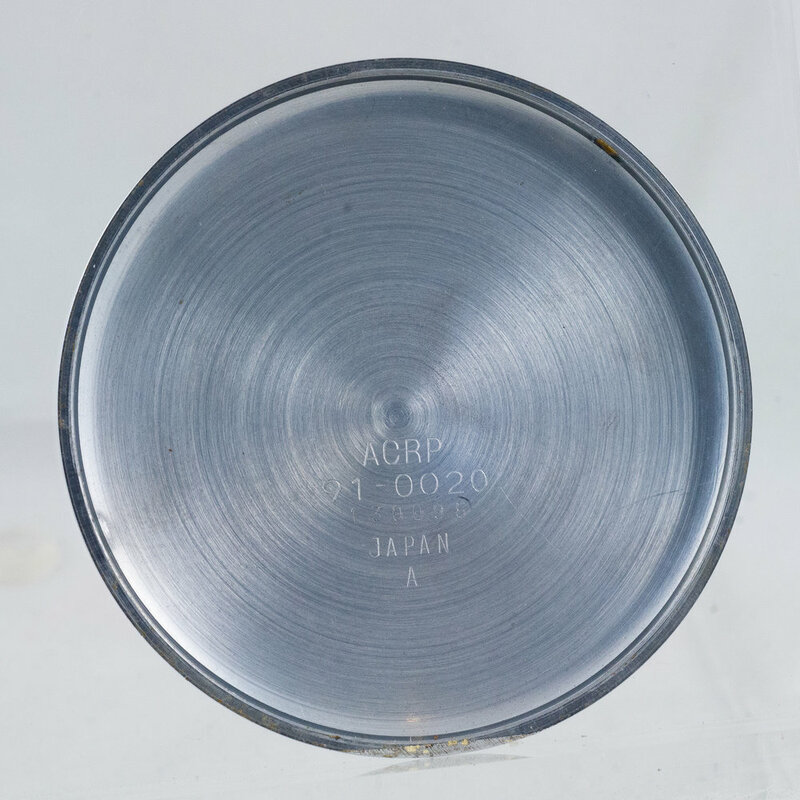 This example is engraved and was presented in June 1973 to commemorate an anniversary of Midori-kai. Midori-kai is a joint venture company that was formed in 1971 as part of the Sanwa Group keiretsu to provide a common HR, insurance and business support platform to the group. At this time, in the early 1970’s, there was rapid development in quartz watch technology with Seiko leading the way. Prices for the production of quartz models were significantly dropping and this was important for a railway watch. 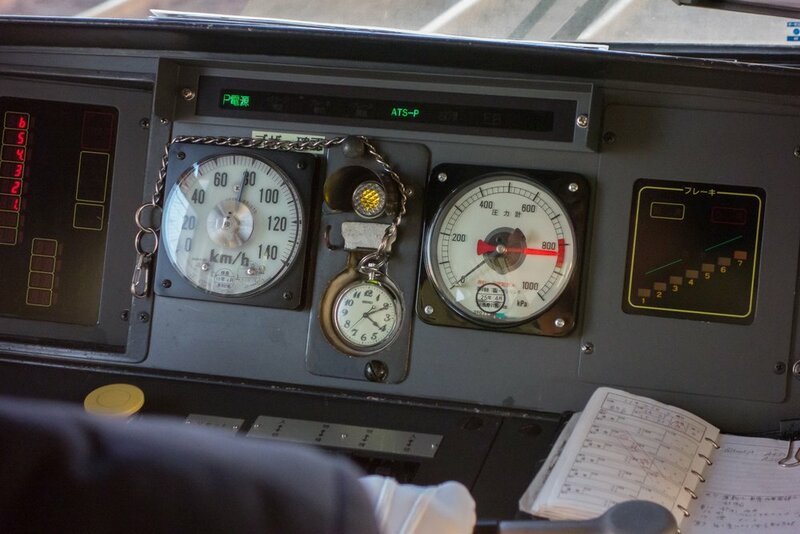 Railways have hundreds of employees so any watch that is to be issued to staff must be cost effective in addition to robust for continual daily use. The other problem faced was the ability of a quartz movement to move the large hands that are a requirement of the railway design. Early quartz models used very small, thin, light hands due to the power required to move them and the impact that this had on battery life. Developments in stepper motor technology and reduced circuit power consumption allowed for the production of high torque movements that were able to work with the large hands of railroad and soon after with dive watches that also include day/date complications. In July 1976 Seiko released the 38RW the first quartz railway watch. This was the QYE010 (3870-0010) based on the 3870A movement that was rated at +-10 sec per month. This was a significant upgrade in accuracy to the mechanical movements then being used. While at the Seiko Museum in Tokyo I managed to see a 38RW model watch, there is also an example on display at the Seiko Epson Monozukuri Museum. This was the first quartz railroad watch that was produced in limited numbers to prove the suitability of quartz for the purpose. This model was sold to the general public and also likely to some smaller private railways, it was not adopted by the Japanese National Railways (JNR). With the 38RW a technological success Seiko introduced the 75RW less than two years later in March 1978. The model number was QHV010 and it had a retail price of ¥18,000. 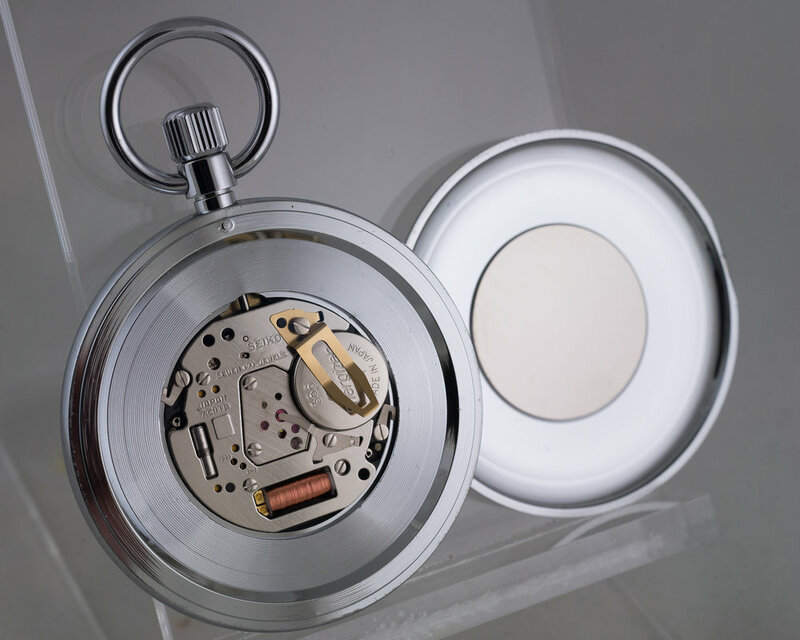 This model introduced the 7550A movement that was rated at +-15 seconds per month. While not as accurate as the 38RW it is more than adequate for the intended railway usage. My example of 75RW is from Kintetsu Corporation from a line in the Kyoto / Osaka region. Around the same time in July 1978 Seiko also released the 63RW with the 6310 caliber movement. This was produced in both 21 jewel and 17 jewel versions and was produced for customers who required a cost effective mechanical railway watch while the 75RW was undergoing approval. The consumer retail version of this was the TYD010 model with 17 jewels and it was priced at ¥11,000. The dial code for the 17J version is 6310-0010 while the 21J dial code is 6310-0020. This watch has the standard hacking function where the second hand is stopped as soon as the crown is pulled. In 1980 the 75RW was adopted by the JNR and at the same time the 63RW was discontinued. 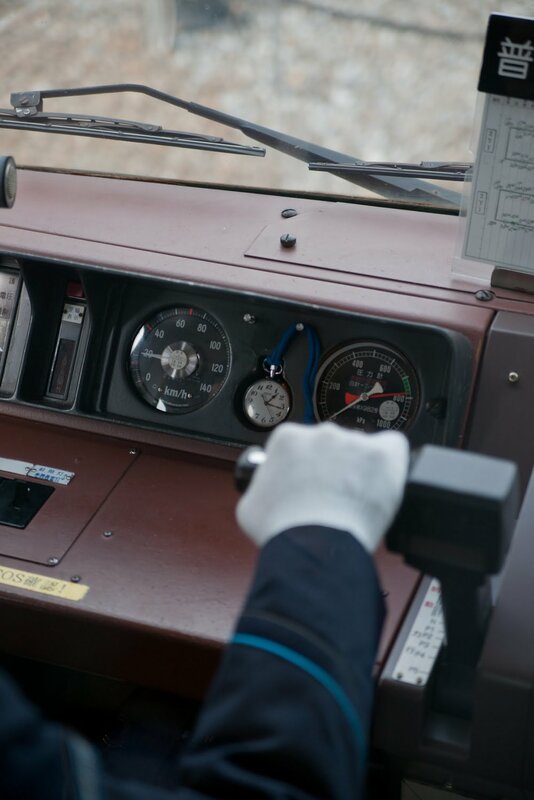 Almost a decade later in July 1987 the first 7C11 based railway watch, the SBVA001 (7C11-0010), was released and this had an accuracy of +-15 sec per month. 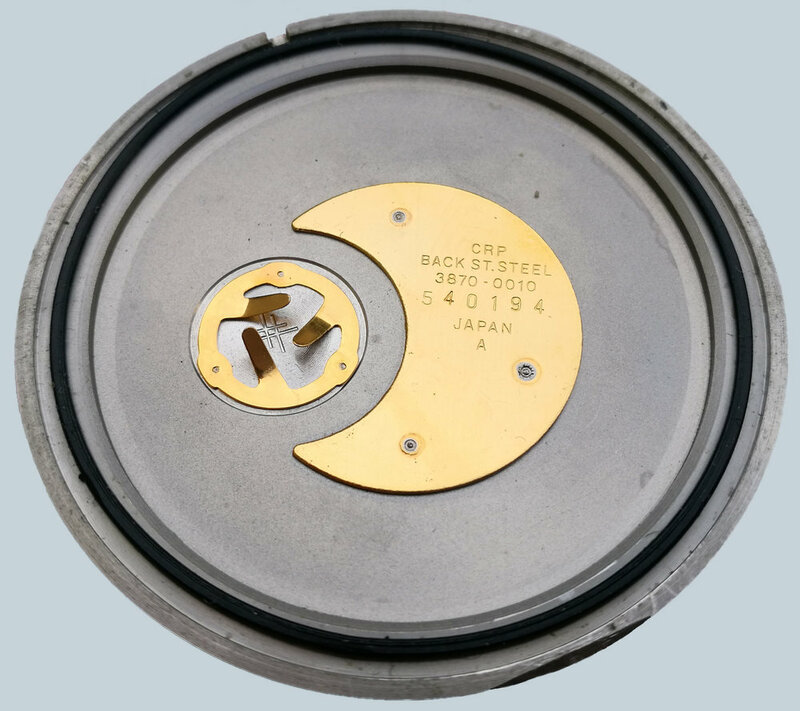 The significant feature that was added with this movement was a magnetic resistance of 16,000A/m. Here are my examples of the 7C11, first is a 7C11-0010 from 1985 and this is followed by a 7C11-001B from 1997 at the end of this model's’ production life. This model is celebrating the 75th Anniversary of the founding of Tōkyū Dentetsu, a Tokyo based private railway company. The text at the bottom of the dial reads, Tokyo Express. 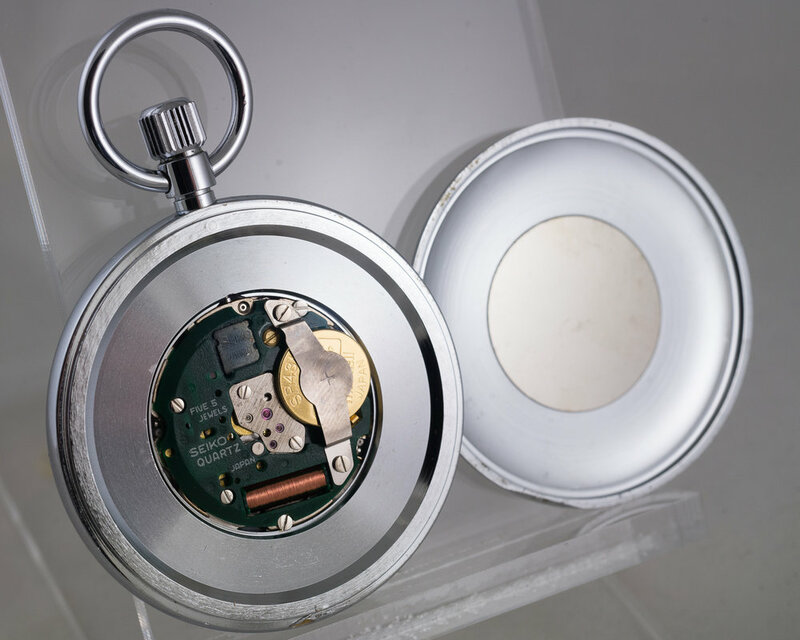 In 1998 the SVBR001 (7C21-0A22) model was released and this movement increased the battery life from five years to ten. My example was presented at the 37th National Convention Chairman’s Award BMEC in 1999. Seiko released the SCVR001 (8L34-0010) a railroad watch as part of the Seiko Historical Collection from the year 2000. 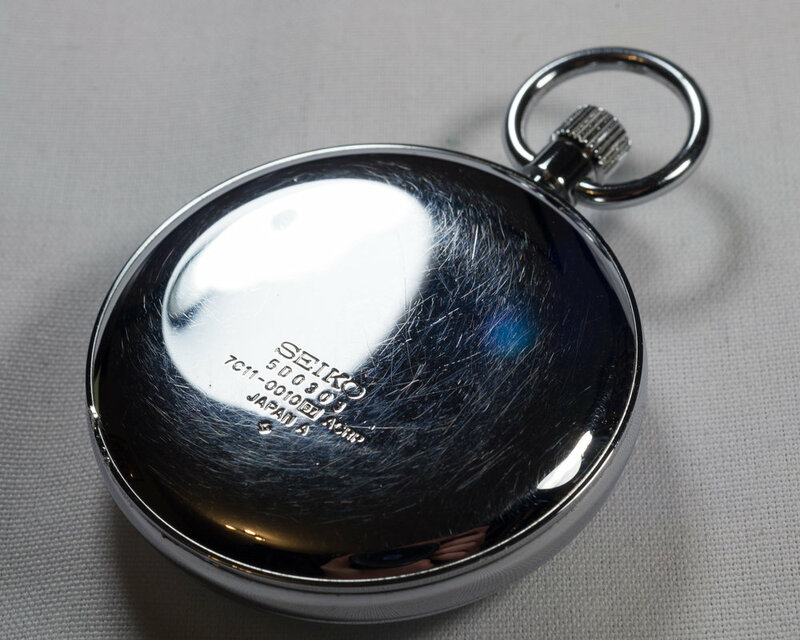 The watch has a 925 (sterling) silver case and the back shows it is from the historical collection and the serial number indicating the model had a production of 3000 units. The watch has a porcelain dial that is extremely smooth and has the lustre that you expect from a porcelain dial. Each of the hands are blued but they look black under most lighting conditions. The watch has an 8L34A hand wind movement with 20 jewels that is rated at -10 ~ +15 seconds per day. I think that this is the only watch that the 8L34 movement was used in and the supplied manual specifically states it is from the Historical Collection instead of a generic manual for the movement. 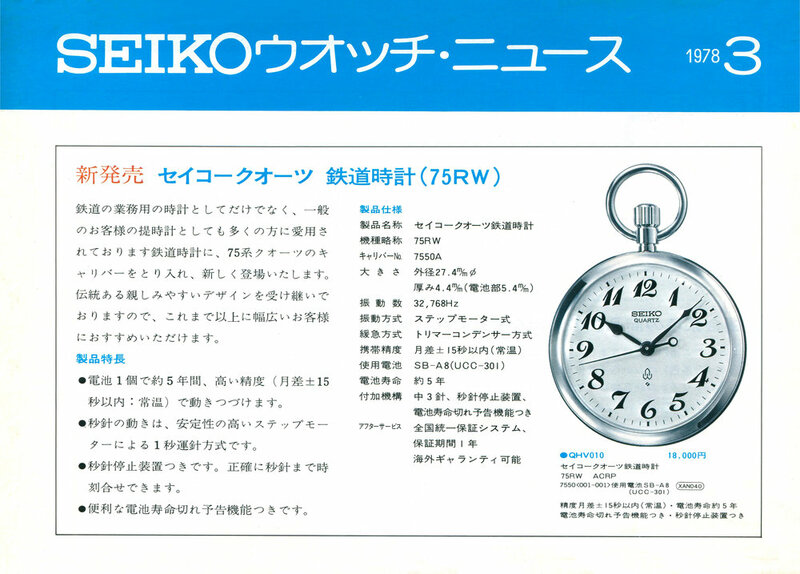 The current model Seiko railway watch is the 7C21 based SVBR003 and it has a retail price of 28,000円. 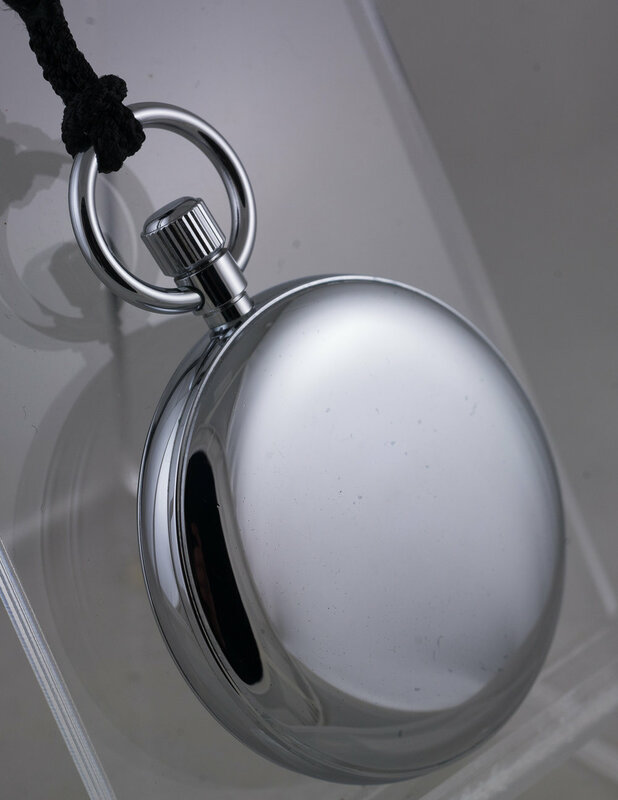 As you can see the general design for the pocket watches has not changed much over the years and this continues on today. This classic configuration was recognized by the Japan Design Foundation in 2013 when it was awarded the "Good Design / Long Life Design Award". 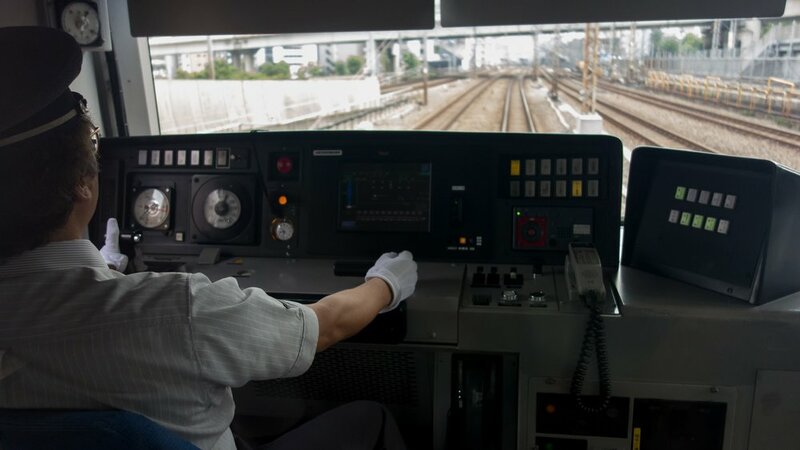 Below is a general timeline of the development of the Seiko Railway watches. 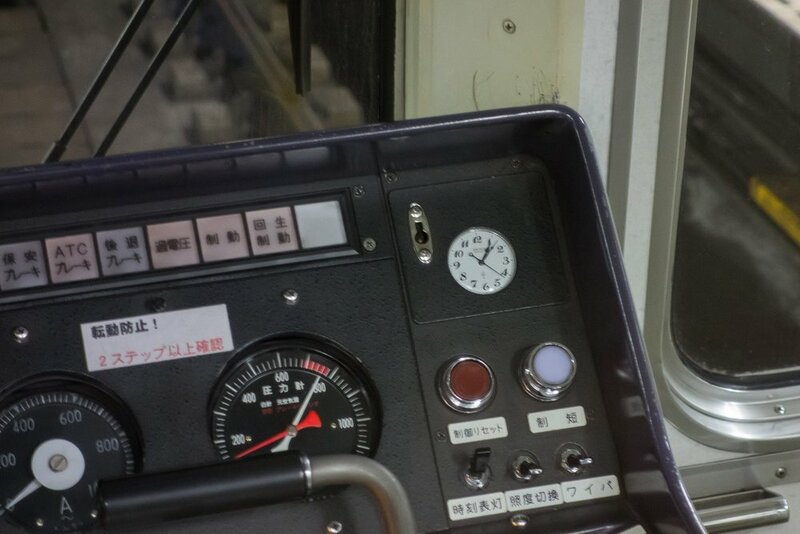 In Japan these model watches can still be seen in everyday use in railways throughout the country. On my visits to Japan I have seen many of these models being used. Here are a few examples of these watches in action.